"You have had trouble getting or paying for medical care for yourself or your family in the last year." Nine percent of those earning more than $75,000 said yes; 28% of those earning $30,000 to $75,000 said yes; and 51% of those earning less than $30,000 answered in the affirmative. "You have had problems paying your rent or mortgage in the past year." Eleven percent of those in the top income bracket said yes; 25% in the mid-bracket said yes; 45% in the lower bracket replied yes. "It is very or somewhat likely that you may be laid off over the next year." Of those in the top income range 12% said yes; in the middle 20% said yes; while 36% at the bottom answered yes. "It is very or somewhat likely that you may be asked to take a pay cut over the next year." Twenty percent of the top; 26% of the middle and 37% at the bottom income range answered yes. "You have gotten a pay raise at your current job or gotten a better job in the past year." Top: 48%; Middle: 44%; Bottom: 30%. "Rate the economic condition in the country today as poor." Top: 41%; middle: 46% and bottom: 50%. Days pass like a whirlwind for me. Unfortunately, at the end of most days, I seldom stop to reflect on what's happened to me. Yesterday was not unusual, but it brought my way a number of significant experiences. 9:08 a.m. Fire alarms going off in building. This time it is no false alarm or test drill. Smoke reported on the 10th floor. We evacuated the building. I rode up to 10 to check it out. One of our tenants, a wonderful gentleman who lives in a wheelchair, had burned his breakfast a bit. When he opened his door to air out his apartment, the smoke filled the hallway and set off the alarm. He was fine. No harm done. But, we are ready for a fire! 10:00 a.m. A bus load (Dallas Cowboys' bus, in fact!) of bright, young high school students being honored by Bank of America as recipients of its student leaders award in the Neighborhood Excellence Initiative. They came to see CitySquare and to tour the CityWalk building Downtown. Delightful, amazing, smart, concerned group of kids! 11:34 a.m. Team member shared a bit of "core meltdown" with me about certain aspects of our work! Painful. Grieving. Honest. Tearful. Hopeful. Hard. Processing. Growing. Tough, but important. 1:00 p.m. Meeting with "Food on the Move" team: White, Vicknair, Smith--Nurture, Knowledge, Nutrition; AmeriCorps; PepsiCo. Great people. Creative beyond belief. Committed to the extreme! Lots of meals going out to community; leaders seeing room for improvement. Lots of energy. 3:00 p.m. Met with a brilliant entrepreneur who owns an on-line sales company that is growing rapidly and adding customers and employees. Opened discussion about his business taking space in the new "Opportunity Center" on Malcolm X! Looks very favorable. Bringing scores of jobs to this very depressed area would be an answer to many prayers! 5:20 p.m. On my way to workout at the Y across the street, ran into a young man who lives in our building. He greeted me warmly, honored me with a handshake reserved only for friends and those he respects. As we talked for a moment, I recalled how he seemed when we first met many months ago: closed, guarded, rather eccentric and depressed. Now he's engaged, happy and part of the community. Seems to have found home. Who knows what today will bring! I hope I can take the time to be more "into my moments" and just reflect. And the Blessing of God, who Creates, Redeems and Sanctifies, be upon you and all you love and pray for this day, this service and forever more. A number of readers who respond to my posts here sound as if they really understand poverty and the people who endure it. A list of the more common phrases offered up here by these "experts" include "personal responsibility," "hard work," "hand outs," etc., etc., etc. What so many of these friends don't comprehend is the emotional, spiritual, psychological aspects of living in poverty, particularly over an extended period of time. Easy solutions focused on behavioral modification of various sorts remain inadequate. Real solutions will involve a comprehensive approach to attacking the root causes of poverty and its accompanying malaise. James Baldwin penned that line more than 50 years ago, but it seems particularly prescient today, if in a different manner than its original intent. Baldwin was referring to the poor being consistently overcharged for inferior goods. But I’ve always considered that sentence in the context of the extreme psychological toll of poverty, for it is in that way that I, too, know well how expensive it is to be poor. I know the feel of thick calluses on the bottom of shoeless feet. I know the bite of the cold breeze that slithers through a drafty house. I know the weight of constant worry over not having enough to fill a belly or fight an illness. It is in that context that I am forced to assume that if Washington politicians ever knew the sting of poverty then they have long since vanquished the memory. How else to qualify their positions? In fact, according to the Center for Responsive Politics, nearly half of all members of Congress are millionaires, and between 2008 and 2009, when most Americans were feeling the brunt of the recession, the personal wealth of members of Congress collectively increased by more than 16 percent. Must be nice. Poverty is brutal, consuming and unforgiving. It strikes at the soul. You defend yourself with hope, hard work and, for some, a helping hand. But these weapons grow dull in an economy on the verge of atrophy, in a job market tilting ever more toward the top and in a political environment that would sacrifice the weak to the wealthy. On Thursday, the Pew Research Center released a poll that showed how disillusioned low-income people have become. Those making less than $30,000 were the most likely to expect to be laid off or be asked to take a pay cut. Furthermore, they were the most likely to say that they had trouble getting or paying for medical care and paying the rent or mortgage. And the current election-cycle obsession to balance the books with a pound of flesh, which is being pushed by pitiless Republicans and accommodated by pitiful Democrats, will only multiply the pain. Until more politicians understand — or remember — what it means to be poor in this country, we are destined to fail the least among us, and all of us will pay a heavy price for that failure. Struggles with internal politics and leadership decisions relative to legitimacy and clearly respected lines of authority dominated at least a part of the ministry of the Apostle Paul. Paul reports some of the background of the early church's process for working out these issues in Galatians 2:1-14. "They asked only one thing, that we remember the poor, which was actually what I was eager to do" (Gal.2:10). Personal thoughts on an early summer day. 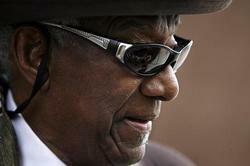 . .
Dallas civil rights and city council icon, Al Lipscomb died a week ago today. I remember following his career in Dallas city politics and governance from my home in Richardson. Always controversial, thanks to his courage and powerful responses to racism, both personal and systemic; Lipscomb fought some battles for sure. I remember telling my church of mainly white, middle class folk that people like Lipscomb wouldn't be forced to continually be in the fight if some of us were willing to join him. I'll always remember the occasion when I was invited to offer the invocation at the start of a City Council meeting. I can't remember what I prayed, but I do know that I asked the Lord to bless Dallas with a heart for the poor and a commitment to pursue justice for all its residents. When I had finished, Lipscomb got out of his seat on the famous "horseshoe" and came to my seat in the audience. He personally ushered me into the meeting room behind the public area and he invited me to have breakfast that was spread out on tables for the council and their guests. So very gracious. Dallas lost a warrior last Saturday. 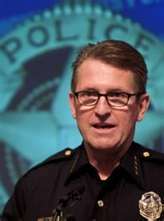 For the record: homeless persons are no more likely than the general population to be pedophiles or to pose any real threat to children. As a matter of fact, priests, school teachers, day care workers, youth workers, business people and non-profit workers are likely as great a threat or greater threat to children statistically than are the homeless. Furthermore, any effort, program or building endeavor that removes people from the street and allows them the option of a safe, decent, air conditioned home makes life on the street and in a city like Dallas safer for everyone, especially the homeless. Numerous housing developments designed to provide permanent housing for the formerly homeless have co-located child care centers on property. In the case of our CityWalk project, the housing is located across one street from a charter school and another from a private school. In the 18 months we've been in the building no problems have been reported involving children and our residents. And, interestingly, crime statistics indicate that the area around our building is safer than when we opened! As some readers will recall, “The Other America” was a study published in 1962 that was influential in informing social policy. It documented the extent of poverty in the United States – asserting that much of poverty was unacknowledged. Fast forward to 2011. Has a good part of philanthropy forgotten about poverty in this country right in the midst of the worst recession since the depression? Last week the United Way of the Central Carolinas announced that it had withdrawn $2.5 million out of its $10 million in reserves to try to level fund community agencies struggling with increased need and reduced government contracts. Its fundraising had fallen $5 million short from the previous year. Yet here comes the headline from this year’s Giving USA report on charitable giving: giving was up by 2.1 percent in 2010 over the previous year, indicating a rebound of charitable giving. We can either think of that United Way as a low performing anomaly or look deeper to understand why so many community organizations are still struggling. Among fundraisers, there’s an ethic of not crying wolf, of seeing the positive even in the negatives, and assuming that the unending generosity of the American charitable donor will win out. But below the headline, the Giving USA numbers this year present an alarming picture for communities across the United States on any number of counts. What we see in the Giving USA numbers is a still-depressed domestic giving scene. The 2.1 percent increase logged for 2010 estimated giving is an increase based on numbers for the previous two years that have been adjusted down. The adjusted cumulative decline in Giving for 2008 and 2009 was 13 percent so the 2.1 percent estimated increase brings giving to an 11 percent decline from pre-recession highs. This decline, as we suggested last year, has not been evenly distributed. What is most obvious in this year’s numbers is a significant disinvestment in people in need on the domestic front. As we understand the numbers, the subsector that took the biggest hit in terms of decreased dollars was human services at a 5.6 percent decline in inflation adjusted numbers last year alone. While at first glance, the category appears to have remained stable, Patrick Rooney, of the Center on Philanthropy where the Giving USA number are crunched, says that 75 percent of the relief giving from this country to Haiti last year went as grants and contributions to domestic human service agencies. Backing that amount out results in the 5.6 percent drop. The giving that is documented is increasingly not in the form of immediately spendable dollars. It includes gifts to foundations that keep increasing even while foundation grantmaking remains distinctly pallid. Additionally, grantmaking from corporations, reported to be skyrocketing here, is increasingly in the form of in-kind products, particularly from pharmaceutical companies. Some link this largess to attempts to get rid of excess inventory but major corporate cash givers to human services such as the financial sector and retail have been declining. What the Giving USA numbers suggest is not only a crisis of declining charitable giving reaching human services or social safety net groups, but a class divide where the groups that do well in charitable solicitations are those with connections, with the social class interrelationships that give them automatic access. Meanwhile, charitable giving for human services is very much the province of the less moneyed donors, the payroll deduction donors, the people who volunteer at the shelter or food pantry or clinic because they know the tangible importance of those institutions to their communities. NPQ believes that there is a class divide in our society, and it is reflected in a class divide in charitable giving and in the nonprofit sector. Just as corporate CEO compensation is now back at pre-recession levels even while joblessness persists, the needs of the poor and of the organizations that serve the poor have virtually disappeared from political discourse and from the priority lists of philanthropy. And the incentives -- bequests, IRA rollovers, etc. -- flow toward the institutions with the fundraising infrastructures and the social connections to major donors. Is it time to rethink the incentives built into our charitable giving structure, where a donation to a sector or institution serving primarily the affluent, is treated identically to a donation meeting the safety net needs of the poor? If we do not rethink the current structures, the creeping and deepening class divide in our society and in the nonprofit sector will only persist. To read the entire important report click here. Taking a page (sort of) out of James Surowiecki's classic, The Wisdom of Crowds, the political leadership of Iceland invited "ordinary citizens" to have a direct role in the creation of a new national constitution. Amazing process it seems. Makes me wonder how our communities, our state and our nation might find ways to tap more directly into the intelligence of our various crowds. Couldn't be any worse than the current rhetorical quagmire! Vikings. They're the vanguard of 21st-century democracy. In the wake of the devastating collapse of Iceland's commercial banks, the country is drawing up a new constitution, and it's doing things a little differently: It's "crowdsourcing" the process. For real. The country's 25-member constitutional council is posting draft clauses on its website and inviting the public to comment on them there or on its Facebook page. And their comments are actually being incorporated into the document. The council also has Twitter, YouTube, and Flickr accounts and is streaming all of its meetings live. It's perhaps the most open and participatory constitutional process in modern history (the Greeks were pretty good at democracy in their time). The draft Human Rights section currently contains an expansive clause barring discrimination for just about any reason (including "genotype" and "social origin") but also guarantees universal mental and physical healthcare, academic freedom, and the protection of natural resources. It's shaping up to be a pretty awesome document from what we can tell. The council's Facebook page is full of comments, not only from Icelanders, but also well-wishers from all over the globe. If you think this is as inspiring an experiment as we do, drop by and tell them so. Too many officials in troubled cities wrongly imagine that they can lead their city back to its former glories with some massive construction project--a new stadium or light rail system, a convention center, or a housing project. With very few exceptions, no public policy can stem the tidal forces of urban change. We mustn't ignore the needs of the poor people who live in the Rust Belt, but public policy should help poor people, not poor places. 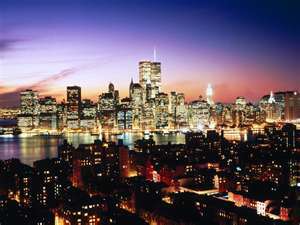 Shiny new real estate may dress up a declining city, but it doesnt' solve its underlying problems. The hallmark of declining cities is that they have too much housing and infrastructure relative to the strength of their economies. With all that supply of structure and so little demand, it makes no sense to use public money to build more supply. The folly of building-centric urban renewal reminds us that cities aren't structures; cities are people. After Hurricane Katrina, the building boosters wanted to spend hundreds of billions rebuilding New Orleans, but if $200 billion has been given to the people who lived there, each of them would have gotten $400,000 to pay for moving or education or better housing somewhere else. Even before the flood, New Orleans had done a mediocre job caring for its poor. Did it really make sense to spend billions on the city's infrastructure, when money was so badly needed to help educate the children of New Orleans? New Orleans' greatness always came from its people, not from its buildings. Wouldn't it have made more sense to ask how federal spending could have done the most for the lives of Katrina's victims, even if they moved somewhere else? Ultimately, the job of urban government isn't to fund buildings or rail lines that can't possibly cover their costs, but to care for the city's citizens. A mayor who can better educate a city's children so that they can find opportunity on the other side of the globe is succeeding, even if his city is getting smaller. 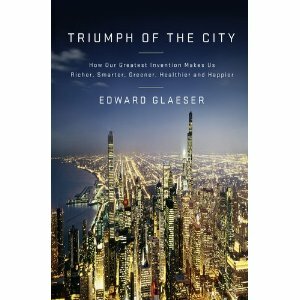 I'm enjoying the thought of Edward Glaeser﻿. At the same time, I'm wondering how his theories may fit in addressing the continuing challenge of bringing renewal, life, health and opportunity to a "geography" like that of the Southern Sector, a huge section of undeveloped and underdeveloped land here in Dallas, Texas? For starters, this particular area of our city is not monolithic, or homogenious in any respect, save that of its basically depressed eoconomic vitality. That said, there are regions of the sector that are severely depressed, as compared to others parts of the area that appear to present more hopeful possibilites. Glaeser is right about education. For sure it presents the greatest, seemingly intractable challenge facing the southern part of our urban area. Until public education in Dallas is "fixed," nothing of much significance will move forward or change in any substantive, positive manner, especially to the south. The education problem in Dallas strangles progress, paralyzes the economy and dashes whatever hope might remain or be created along the way to "more of the same." As public education goes--in reality and in perception--so goes the housing and retail markets along with jobs and eoncomic vitality. Our city has seen the flight of middle class families of all complexions from the city to the suburbs on the outside in search of better educational options for their children. While building programs, rail lines and infrastructure improvements will not answer the call to renovate public education (shoot, no one's thinking of building anything much to the south of Dallas anyway) some combination of vision, investment, community restructuring and focused attention seem in order. . . .Dallas developed a program for educaiton reform equivalent to some of the incentivized economic development vehicles that are in place Downtown and around the community (i. e. enterprise zones, TIFs, etc.)? Why not block out a target area for special consideration with real attention given to managing entire "feeder patterns" where schools historically under-perform? . . .Dallas overlaid such target areas with existing economic development tools and a real long-term commitment to public investment? . . .Dallas courted area and national corporations to relocate to the south to build new, positive, planned developed, "company towns" where new, healthy economies could be built alongside renewing schools. In exchange for tax abatements, companies would agree to train and employ a % of low-income wage workers alongside middle class wage earners. Such special enclaves would be defined by their commitment to great public schools, no exceptions, no excuses. . . .the City of Dallas petitioned the state for some measure of involvement/control in managing the public schools in these special, target areas? Many have argued that the DISD is too large. By peeling off a portion of the responsibility, the city might contribute to the improvement of the entire system. I know it's a radical idea, but, in my view, we are in need of a complete overhaul. . . .principals were held accountable like other CEOs in the community on the basis of clear and meaningful metrics around student improvement, performance and university readiness? . . .every new "big project," like those Glaeser mentions, was vetted first for its role in improving the quality of life for these new, planned "excellence in education communities"? Could we actually plan housing development and variety, community spaces, convention centers, and highway/transportation infrastructure around educational attainment goals and current "low-performing" areas? . . .Sustainability, quality of life, communication, grassroots democracy and public health measures became first rate community priorities? Sorry, but I just wonder. With the special session of the 82nd Texas Legislature now underway, it is important for nonprofits to understand what effect the impending budget cuts will have on them. The state is experiencing an unprecedented budget shortfall, and one of the solutions to eliminate the deficit, is to cut spending significantly. In past years, government budget cuts have left the nonprofit sector picking up the slack and filling in the gaps left where government has withdrawn programs and funding. Given the uncertain economic times we already exist within, many nonprofit organizations may find themselves overburdened in navigating these additional challenges. On Friday, June 24, 2011, the Center is convening the first in a two-part series to address these issues. Phase I will assemble a panel of experts in a Town Hall Session to disseminate information and provide for question and answers as we begin to discuss the impact of the Legislative Session. Hold the date for Phase II, August 9, 2011 when the Center will conduct a summit aimed at providing the training required to strengthen the capacity of nonprofits to adequately prepare them for the inevitable challenges the sector will face. Topics will include: shared services, collaboration, operational efficiencies, and other cost-saving concepts. BONUS: Attendees will be eligible for a door prize drawing for one free registration to the Phase II Follow Up conference August 9th. This session is being held at the Communities Foundation of Texas, 5500 Caruth Haven Lane, Dallas, TX 75225-8146, (214) 750-4222. Thank you to the Communities Foundation of Texas for their generous support in providing the space for this session. The session is free but registration is required. Today is a special day of remembrance for all Americans, and especially for Texans! Juneteenth represents a day of freedom and liberation! June 19, 1965 marked the complete end of slavery in the restored Union of the United States! Remember and celebrate! 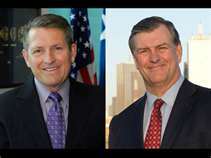 If you live in Dallas, VOTE TODAY for Mayor! 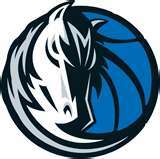 Today Dallas will chose a new mayor. If you didn't vote early, be sure and vote today! This is very interesting to me. . .
Our work at CitySquare takes us in a number of directions pragmatically. Our mission remains fairly straightforward and ambitious: CitySquare exists to fight the root causes of poverty by partnering with those in need. Working together as a community, we feed the hungry, heal the sick, house the homeless and renew hope in the heart of our city. Of course, as they say, the devil's in the details. A growing concern and constant focus for us is how do we measure impact, change and "success" as we do our work? Increasingly, funding organizations, including foundations, the United Way and public agencies, expect clear reports that measure "return on investment" of their scarce dollars. As we move forward, we are developing precise measurement tools and techniques designed to reveal whether or not individual and/or family wealth is growing or shrinking. Using a common intake form, our various departments are now benchmarking income as folks enter the CitySquare. Along the way, we will revisit the income status of individuals and families to see if we are "moving the needle" in the right direction or not. The exercise will provide us another objective measure of program effectiveness. Programs and strategies that improve household income will be further developed. Those efforts that do not "pay off" for households will be evaluated for improvement or discontinued as our focus turns toward more effective responses to poverty. The idea of "wealth managers" working at the bottom of the economic pyramid may seem strange. The vehicles for wealth creation may be different, but the principles remain the same. Employment and wage improvement, evaluating and bundling public benefits and on-going community support and belonging will all play key roles in seeing our neighbors progress upward in our economy. As Peter Drucker once said, "What gets measured gets managed." CitySquare is all about helping to create new trajectories for our neighbors and friends who call the inner city home. I hope you'll join us. This interesting post made its way to me this week. Unique perspective on being lazy or inactive. The urban ability to create collaborative brilliance isn't new. For centuries, innovations have spread from person to person across crowded city streets. An explosion of artistic genius during the Florentine Renaissance began when Brunelleschi figured out the geometry of linear perspective. He passed his knowledge to his friend Donatello, who imported linear perspective in low-relief sculpture. Their friend Masaccio then brought the innovation into painting. The artistic innovations of Florence were glorious side effects of urban concentration; that city's wealth came from more prosaic pursuits: banking and cloth making. Today, however, Bangalore and New York and London all depend on their ability to innovate. The spread of knowledge from engineer to engineer, from designer to designer, from trader to trader is the same as the flight of ideas from painter to painter, and urban density has long been at the heart of that process. The vitality of New York and Bangalore doesn't mean that all cities will succeed. In 1950, Detroit was America's fifth-largest city and had 1.85 million people. In 2008, it had 777 thousand people, less than half its former size, and was continuing to lose population steadily. Eight of the ten largest American cities in 1950 have lost at least a fifth of their population since then. The failure of Detroit and so many other industrial towns doesn't reflect any weakness of cities as a whole, but rather the sterility of those cities that lost touch with the essential ingredients of urban reinvention. Cities thrive when they have many small firms and skilled citizens. Detroit was once a buzzing beehive of small-scale interconnected inventors--Henry Ford was just one among many gifted entrepreneurs. But the extravagant success of Ford's big idea destroyed that older, innovative city. Detroit's twentieth-century growth brought hundreds of thousands of less-well-educated workers to vast factories, which became fortresses apart from the city and the world. While industrial diversity, entrepreneurship, and education lead to innovation, the Detroit model led to urban decline. The age of the industrial city is over, at least in the West. Echoing antiurbanites throughout the ages, Mahatma Gandhi said that "the true India is to be found not in its few cities, but in its 700,000 villages" and "the growth of the nation depends not on cities, but [on] its villages." The great man was wrong. India's growth depends almost entirely on its cities. There is a near-perfect correlation between urbanization and prosperity across nations. On average, as the share of a country's population that is urban rises by 10 percent, the country's per capita output increases by 30 percent. Per capita incomes are allmost four times higher in those countries where a majority of people live in cities than in those countries where a majority of people live in rural areas. The Time Is Now!--from some Dallas sports greats! My second grandson, Owen Frazer blows me away on a regular basis! I do believe that he knows more about Star Wars than George Lucas! Every time we are together he gives me a seminar on the various layers of the saga, especially as the complex storyline relates to the innumerable figures and vehicles that he has amassed in his growing collection! When it comes to Star Wars, Owen's encyclopedic knowledge is spurred along by his dad's childhood experience and his vintage collection of figures and implements of war and conquest! It is just a real hoot playing Star Wars with Owen! He possesses great imagination and demonstrates quite a proclivity for organization and order. Star Wars leads inevitably to Legos! He loves assembling Lego kits, especially of Star Wars Clone Wars! We've enjoyed many an hour of putting block upon block until something almost magical appeared. 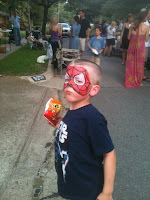 Recently, Owen broke his mother's heart, quite a feat at the ripe old age of 5! Conspiring with his dad--anyone else see a pattern here?? ?--and the local barber, Owen shed his golden locks and replaced them with a genuine buzz cut! The photos here reveal the interesting transformation. 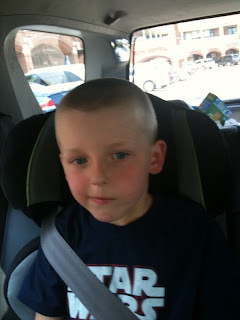 I'm told that when he walked up to his mom in the grocery store with his new cut, she didn't recognize him at first! 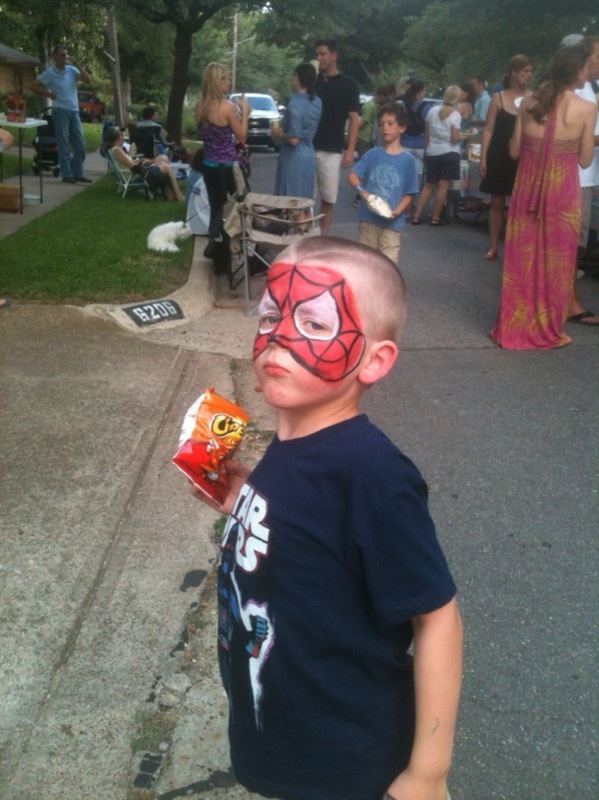 The new hair style also coincided with a neighborhood block party, thus the Spider Man pose. What a joy is this boy! He makes me smile. . .all the time! Private Screening of "Killer at Large"
At CitySquare, we believe in health for all. Over 600,000 residents of Dallas County lack health insurance, which means they are forced to use emergency rooms as their sole source of medical care. Often, these crises could have been prevented with proper preventative health care. A simple cavity becomes an abcess with infection. Uncontrolled diabetes becomes a life-threatening blood sugar crisis. A heart condition becomes fatal without proper medication and maintenance. Not only does lack of healthcare affect the health of individuals in our community, but it impacts their ability to work and to be the type of parent, spouse or community member they could otherwise become. Obesity rates in the United States have reached epidemic proportions in recent years. The Centers for Disease Control estimate that at least 110,000 people die per year due to obesity and 1/3 of all cancer deaths are directly related to it. From our human evolution and our changing environment to the way our government's public policies are actually causing obesity, Killer at Large shows how little is being done and more importantly, what can be done to reverse it. Killer at Large also explores the human element of the problem with portions of the film that follow a 12-year old girl who has a controversial liposuction procedure to fix her weight gain and a number of others suffering from obesity, including filmmaker Neil Labute. CHICAGO, June 1, 2011 /PRNewswire-USNewswire/ -- On May 31, The House Committee on Appropriations approved dramatic cuts to several federal nutrition programs that would eliminate nutrition assistance for hundreds of thousands of low-income seniors, women, infants, and children and cut support for charitable food assistance by over 20 percent. "The proposed cuts are staggering," said Vicki Escarra, President and CEO of Feeding America. "It is not an overstatement to say that the House bill would make it harder for millions of low-income Americans to get enough to eat – Americans who are already struggling just to get by from day to day. These proposed cuts are indefensible. There is no other word for it." A coalition of 34 national organizations signed a letter circulated by Feeding America urging House Appropriators to reject the cuts to nutrition programs, stating that the "legislation would have a devastating impact on our most vulnerable citizens and erode the foundation of the emergency food network." The letter was signed by a coalition of anti-hunger, faith-based, children, seniors, and other organizations. "The House proposal would push more people to local charities at the same time it slashes emergency food assistance for food banks, church pantries, and other charitable food providers," Escarra said. "Not only will our food banks not be able to meet the increased demand for food assistance if the cuts to nutrition programs go through, we will have to reduce current levels of support for existing clients." Feeding America is the nation's largest hunger relief organization, providing food to nearly 6 million people across all 50 states every week through 61,000 food pantries, soup kitchens and other emergency feeding facilities. The number of clients served by the Feeding America network has risen 46 percent in the past four years. "We are doing everything we can to help, but local food banks and pantries are already stretched thin and charity cannot solve the problem alone," Escarra said. "Feeding America was already concerned about the prospect of bare shelves later this year due to an expected drop off in federal commodities, and we simply could not meet the increased need in communities across America if Congress approves reductions to federal nutrition assistance programs." Many struggling families are able to put food on the table only because of the safety net provided by federal nutrition programs – including SNAP, The Emergency Food Assistance Program (TEFAP), the Commodity Supplement Food Program (CSFP), and the Supplemental Nutrition Program for Women, Infants and Children (WIC). More than 40 million Americans live at or below the federal poverty level. One in seven Americans, half of whom are children, is enrolled in the Supplemental Nutrition Assistance (SNAP) program. "Members of Congress have an opportunity to reject these harmful cuts with the bill goes to the House floor for a vote later this month," Escarra said. Cast a Vote in Pepsi Refresh Everything contest: Help DC Middle School! My friend, Matt Worthington teachs at MacFarland Middle School in Washington, DC. Read what he sent me recetnly and then go here to vote for his project via the Pepsi Refresh Everything contest. Or, look just above at the voting widget to cast your ballot of support! I'm emailing you asking for your blog support. My middle school, MacFarland Middle School in DC Public Schools (Waiting For Superman) is currently in the running to win $50,000 for an Apple Mobile Learning Lab through the Pepsi Refresh Everything contest. To be truthful, we're broke and with the nearly $800,000 we had to cut from our budget, we have absolutely no money for new technology in our building because the priority is maintaining staff. It's not the District's fault either, because I know they're working hard to get schools more money, but it's just not happening. So we enrolled in Pepsi's contest and now our project is live! But we need votes. We're currently ranked 24 (down from 21) out 258 contestants, but in order to get the grant we have to rank top 10. I'm emailing you to ask for your advocacy during the month of June to ask your followers to vote for MacFarland at www.refresheverything.com/macfarlandmobile. 3. POWER VOTING DAILY at our profile page using 10-digit codes found under Pepsi Bottle Caps and other Pepsi Products. All in all, people can vote potentially 12 times a day, with a minimum of 52 votes cast per person everyday and a maximum 1002 votes using Pepsi's POWER VOTES. Also, if you're able to do embed widgets on your blog, our profile page has some HTML code that you can plug right into a HTML widget and it'll have a little badge on your blog you can use for the month of June. Let me know if you can support. We'd desperately appreciate it. When I detect a beauty in any of the recesses of nature, I am reminded by the serene and retired spirit in which it requires to be contemplated, of the inexpressible privacy of life, — how silent and unambitious it is. The beauty there is in mosses will have to be considered from the holiest, quietest nook. The gods delight in stillness, they say ‘st–’st. My truest, serenest moments are too still for emotion; they have woolen feet. Serenity is an indicator of inner peace, and thus of wisdom. We don’t want to live boring lives and adventure definitely has a role in a life well-lived, but serenity is an indicator that someone has thought through their life and pursued it with discipline and goodwill. Serenity is an indicator that a lot of other things in someone’s life are working well. They don’t try to take on too much, for instance. They have a margin of energy in reserve. They set aside time for the contemplation of beauty. There’s not much rushing. 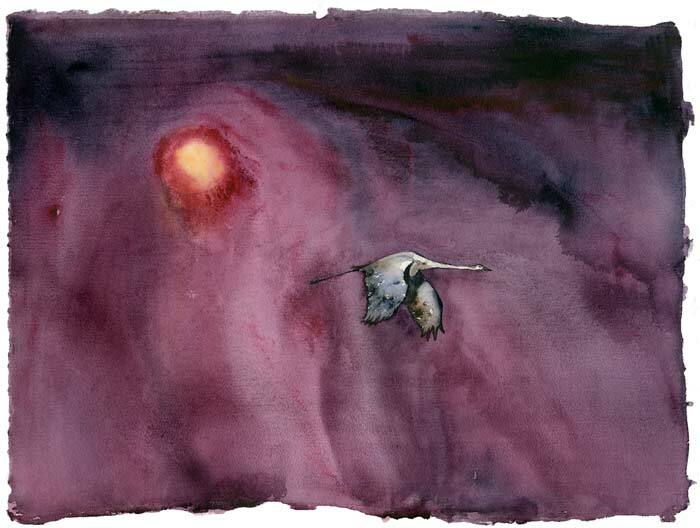 Hectic activity, desperation – these are not part of a life of serenity or wisdom. Serenity is the outcome of a well-designed, a well thought-through life. I’m reading a biography right now of Abraham Lincoln and perhaps the most thought-provoking characteristic of his life is the serenity with which he conducted his relationships, even when dealing with dishonesty. Lincoln had a particularly close bond with his stepmother, who is described as having been a constant source of encouragement, support and love to him. Our ongoing national budget crisis jeopardizes the health, nutrition and overall well-being of the poorest and weakest Americans. As Congress considers, debates and proposes various plans to slash spending, it appears that more and more life-sustaining options will be taken from the poor. Furthermore, a common notion (read just here "myth") is that private non-profits, churches and other NGOs will be able to "pick up the slack" or close the gap in providing needed benefits and services. Of course, anyone who works in the sector and understands the magnitude of the problems facing poor folks also knows that such a suggestion is simply not feasible. While non-profit groups have a role to play, often in administering public funds via grants and/or contracts, they can't be expected to manage the problems created by massive cutbacks. The scale of the need and the challenges facing our low-income neighbors are simply too large to effectively address without adequate, realistic public funding. A factor few people bent on budget cuts often overlook is the high return on investment achieved by the strategic use of public benefits to help lift people from poverty. Each dollar spent to help improve the lives of low-income persons and families is immediately injected into our economy. Poor people don't leave their funds unspent on any sideline! In addition, effective programs for the poor prevent costly problems down the road. For example, funds invested in infant and childhood nutrition reduce health care costs later in life among this population. As the following report makes clear, our times call for thoughtful leaders, not knee jerk reactions. These tough times for so many also call for fairness and equity in policy matters. Let me know what you think after you've read the report. If House Republicans get their way in the federal budget for fiscal year 2012 beginning in October, nearly 500,000 women, infants, and children could be deprived of basic nutritional assistance. Though Republican leaders justify this decision on the grounds that budget deficits require "shared sacrifice," the tax cuts they recently fought to extend will give away more money to America’s 300,000 millionaires this week than it will cost to adequately fund nutrition programs for all of next year. That’s the story and the math behind the Republican-led House Appropriations Committee decision to slash the budget for the Special Supplemental Nutritional Program for Women, Infants and Children, or WIC, by $833 million in FY 2012. WIC provides nutritious foods to low-income pregnant women, new moms, babies, and children under 5 who have been identified as nutritionally at risk. The program has done this successfully for nearly 40 years at a relatively modest cost to the federal government, which is why the program has traditionally enjoyed strong bipartisan support. The bill approved this week by Republicans on the House Appropriations Committee upends that bipartisan commitment, imposing deep and harmful cuts to WIC and denying assistance to 325,000 to 475,000 eligible mothers, infants, and children. In fact, not content with cutting WIC, the House Republicans also placed on the chopping block the Commodity Supplemental Food Program, which delivers nutritionally appropriate meals to low-income, often homebound seniors. Tens of thousands of vulnerable seniors would lose access to these meals if these cuts totaling $38 million are ultimately signed into law. Conservatives often claim that private charities and faith-based organizations will simply pick up the slack. Yet the funding bill for agriculture and nutrition programs also slashes the very funding that supports emergency food bank networks, through both food commodities and storage and distribution. The bill cuts $63 million from The Emergency Food Assistance Program, a decision that would significantly impede the ability of private food banks, shelters, and pantries to meet the rising need. But slashing federal nutrition assistance won’t right the ship. It would steer us in the wrong direction. The WIC program represents about two-tenths of 1 percent of the federal budget. Even if one disregards the negative consequences on family budgets and the overall economy, the proposed cuts would reduce this year’s federal deficit by less than one-tenth of a percent. In all likelihood, these cuts would leave the country and the federal budget in worse shape. Investing in the nutrition of pregnant women, infants, and young children is often credited with saving federal dollars in the short term and long run. By ensuring vulnerable children have access to adequate nutrition, WIC often prevents more costly health problems down the line and improves children’s school performance. According to researchers at Children’s HealthWatch, children’s brain size more than doubles in their first year of life when they are provided with appropriate nutrition. By ensuring moms and new babies have the nutritional supports they need to thrive during this critical time, WIC decreases the risk of developmental delays and promotes school readiness. The program’s biggest cost-savings, however, often come before the child has even turned 1 year old. Economists estimate that every $1 invested in WIC saves between $1.77 and $3.13 in health care costs in the first 60 days after an infant’s birth by reducing the instance of low-birth-weight babies and improving child immunization rates. In fact, it is estimated that the program has saved more than 200,000 babies from dying at birth. My good friend, John Siburt sent me the link to this story from The Huffington Post. What do you think? What Would Jesus Spend His Money On? BEVERLY, Mass. (RNS) No sooner had 29-year-old Graham Messier joined a small group at his church earlier this year than he found himself breaking an American taboo: talking about how much he earns, and where it all goes. Others in the group did likewise as they kicked off an eight-week program aimed at reconciling personal finances with Christian rhetoric about economic justice. It's countercultural, they said, but it works. By the eighth meeting, Messier's group had raised $1,800 for three non-profits simply by cutting back on gourmet coffees, dining out and other non-essentials. Talking about household budgets isn't "the most comfortable thing in the world," Messier said. "But talking as Christians about the reality of our money situations should be more of a focus than it is generally if we're going to be real about loving, giving to the poor and taking care of our fellow man." Since inception in 2006, the Lazarus at the Gate curriculum has guided some 400 people in more than 30 groups to give away a total of $200,000. Using the biblical story of poor Lazarus seeking help at a rich man's gate, most participants learn that ordinary Americans rank among the world's richest 5 percent -- and that a few dollars go a lot farther in the developing world than they do at their local Starbucks. What began as a Boston-based pilot has grown into an open-source curriculum. The ecumenical Boston Faith and Justice Network (BFJN) shares Lazarus materials upon request with college student groups and churches in other regions and countries. Hey, if you're from Dallas, you gotta love this! 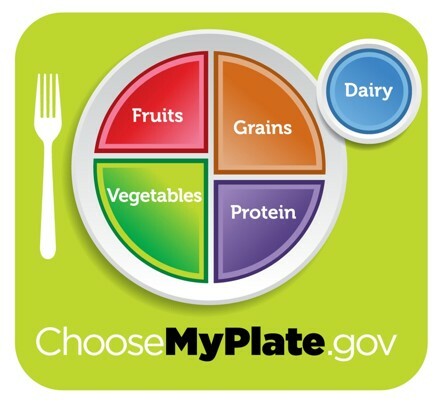 After devoting decades to designing a food pyramid, then refining that design with colored stripes and steps, the nation’s nutrition experts have finally settled on what they believe is the perfect geometry to represent what we should eat: a plate. Circular, with four colorful divisions to represent the four main food groups, the new plate looks just like a pie chart — a description experts shun because, well, pie isn’t good for you. Indeed, arriving in the midst of an obesity epidemic, this new at-a-glance guide to healthful eating is meant to remind consumers to limit heavy foods like pie and beef up instead on the greens. 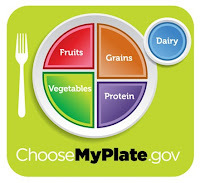 “MyPlate” promotes fruits and vegetables, which cover half the circle. Grains occupy an additional quarter, as do proteins such as meat, fish and poultry. A separate circle (looking remarkably like an aerial view of a cup) represents “dairy” and rests to the side. Desserts appear to have been banished — like the pyramid — to the desert. The message is clear: “Make half your plate fruits and vegetables,” said Robert Post, an official at USDA’s center for nutrition policy and promotion. The Obama administration has high hopes for establishing the brightly colored image as a ubiquitous consumer icon. Post said the USDA is targeting food producers, health insurers, restaurants and schools as partners in promoting the image. At a media-heavy rollout Thursday morning at USDA headquarters, the famously foodie first lady presided, focusing on the obesity problem in children. USDA will bring the image to “essentially all” schools in the country via the agency’s breakfast, lunch, afternoon snack and other nutrition programs, Post said. Agriculture Secretary Tom Vilsack said the new “food icon” was designed to help slim Americans’ expanding girths: Two-thirds of American adults and one-third of children are overweight or obese. “The costs associated with obesity are enormous,” Vilsack said, adding that the image popped into his head at just the right moment during dinner recently. A steak arrived covering “three-quarters” of his plate. “I didn’t eat it all,” he said. "CitySquare University" serves us as an internal, professional and personal development resource for all of our employees or team members. The offering of courses span a wide range of subjects that are important to our work. We value every person who works here. Everyone works very hard. Each member of our team deserves the very best in opportunity and skill enhancement. One of the courses that I teach is entitled The "Theology" of CitySquare. The two-part course surveys the Hebrew Bible and the scriptures of Christians with an eye to discovering the principles of compassion, justice and community found in these rich texts of faith. Luke 6:20-26 Looking at his disciples, he said: “Blessed are you who are poor, for yours is the kingdom of God. 21 Blessed are you who hunger now, for you will be satisfied. Blessed are you who weep now, for you will laugh. 22 Blessed are you when people hate you, when they exclude you and insult you and reject your name as evil, because of the Son of Man. “Rejoice in that day and leap for joy, because great is your reward in heaven. For that is how their ancestors treated the prophets. 24 “But woe to you who are rich, for you have already received your comfort. 25 Woe to you who are well fed now, for you will go hungry. Woe to you who laugh now, for you will mourn and weep. 26 Woe to you when everyone speaks well of you, for that is how their ancestors treated the false prophets. Luke 9:12-17 12 Late in the afternoon the Twelve came to him and said, “Send the crowd away so they can go to the surrounding villages and countryside and find food and lodging, because we are in a remote place here.” 13 He replied, “You give them something to eat.” They answered, “We have only five loaves of bread and two fish—unless we go and buy food for all this crowd.” 14 (About five thousand men were there.) But he said to his disciples, “Have them sit down in groups of about fifty each.” 15 The disciples did so, and everyone sat down. 16 Taking the five loaves and the two fish and looking up to heaven, he gave thanks and broke them. Then he gave them to the disciples to distribute to the people. 17 They all ate and were satisfied, and the disciples picked up twelve basketfuls of broken pieces that were left over. Luke 12:12-34 Then Jesus said to his disciples: “Therefore I tell you, do not worry about your life, what you will eat; or about your body, what you will wear. 23 For life is more than food, and the body more than clothes. 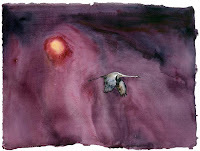 24 Consider the ravens: They do not sow or reap, they have no storeroom or barn; yet God feeds them. And how much more valuable you are than birds! 25 Who of you by worrying can add a single hour to your life[a]? 26 Since you cannot do this very little thing, why do you worry about the rest? 27 “Consider how the wild flowers grow. They do not labor or spin. Yet I tell you, not even Solomon in all his splendor was dressed like one of these. 28 If that is how God clothes the grass of the field, which is here today, and tomorrow is thrown into the fire, how much more will he clothe you—you of little faith! 29 And do not set your heart on what you will eat or drink; do not worry about it. 30 For the pagan world runs after all such things, and your Father knows that you need them. 31 But seek his kingdom, and these things will be given to you as well. 32 “Do not be afraid, little flock, for your Father has been pleased to give you the kingdom. 33 Sell your possessions and give to the poor. Provide purses for yourselves that will not wear out, a treasure in heaven that will never fail, where no thief comes near and no moth destroys. 34 For where your treasure is, there your heart will be also. Luke 16:1-15 1 Jesus told his disciples: “There was a rich man whose manager was accused of wasting his possessions. 2 So he called him in and asked him, ‘What is this I hear about you? Give an account of your management, because you cannot be manager any longer.’ 3 “The manager said to himself, ‘What shall I do now? My master is taking away my job. I’m not strong enough to dig, and I’m ashamed to beg— 4 I know what I’ll do so that, when I lose my job here, people will welcome me into their houses.’ “So he called in each one of his master’s debtors. He asked the first, ‘How much do you owe my master?’ 6 “‘Nine hundred gallons[a] of olive oil,’ he replied. “The manager told him, ‘Take your bill, sit down quickly, and make it four hundred and fifty.’ 7 “Then he asked the second, ‘And how much do you owe?’ “‘A thousand bushels[b] of wheat,’ he replied. “He told him, ‘Take your bill and make it eight hundred.’ 8 “The master commended the dishonest manager because he had acted shrewdly. For the people of this world are more shrewd in dealing with their own kind than are the people of the light. 9 I tell you, use worldly wealth to gain friends for yourselves, so that when it is gone, you will be welcomed into eternal dwellings. 10 “Whoever can be trusted with very little can also be trusted with much, and whoever is dishonest with very little will also be dishonest with much. 11 So if you have not been trustworthy in handling worldly wealth, who will trust you with true riches? 12 And if you have not been trustworthy with someone else’s property, who will give you property of your own? “No one can serve two masters. Either you will hate the one and love the other, or you will be devoted to the one and despise the other. You cannot serve both God and money.” 14 The Pharisees, who loved money, heard all this and were sneering at Jesus. 15 He said to them, “You are the ones who justify yourselves in the eyes of others, but God knows your hearts. What people value highly is detestable in God’s sight. CitySquare operates as a faith-based organization deeply rooted in the truths of our spirituality. Try reading these texts. I believe they can't be read without change occurring at the heart level. Most of us try to determine our specific role in life, especially at work, and then spend our energy focusing on working to perfect that role or position. At times though life requires more. And often, when we step out of our normal position, out where things can get really uncomfortable, amazing things can happen. While it is true that most of the time we must play our assigned roles, I hope we'll always be willing to rise to the occasion of an unexpected new role and assignment for the sake of our "team" or community. I love what follows! Let me know your reaction. It was the lasting image of second baseman Wilson Valdez's improbable win, especially considering he retired the meat of Cincinnati's lineup to set up the Phillies' 19-inning, 5-4 win against the Reds on Wednesday night. And for the first time in the Majors since Brent Mayne of the Rockies faced the Braves on Aug. 22, 2000, a position player was the winning pitcher. The last player to start a game in the field and earn a win was Babe Ruth on Oct. 1, 1921, according to the Elias Sports Bureau. Ruth started in left field for the Yankees in that game. Valdez said he hadn't pitched since a 2002 backyard game in his native Dominican Republic but needed just 10 pitches to get through the Reds' Nos. 3-6 hitters. "It was fun. It's something that I will never forget," Valdez said. "I'm a winner. I was ready to pitch, and I'm glad that I went 1, 2, 3." He got reigning National League MVP Joey Votto to fly out to deep center. Ditto Jay Bruce after hitting Scott Rolen with a pitch. Then, pitcher Carlos Fisher popped out to second. "It was funny, because when Votto was hitting, [Valdez] started shaking [off catcher] Dane [Sardinha], and I was like, 'What is he about to throw? What does he have?' " first baseman Ryan Howard said. "He threw him a sinker in, and I was like, 'OK.' "
It was the first time Charlie Manuel had ever used a position player to pitch, the manager said after the game. "I think he got his fastball up to 88, 89 miles per hour," Manuel said. "That's better than some guys I see out there." Valdez was asked if he could pitch, and he took over for Danys Baez, who threw five innings and allowed just one hit and one walk while striking out three on 73 pitches. Baez, the last available pitcher for the Phillies, was told he would not return for a fourth inning but asked to stay in so Valdez wouldn't have to face the middle of the Reds' order. "It is what it is at that point," Bruce said. "Obviously you'd like to get something going against him, but we didn't. That stuff happens. He actually had OK stuff."